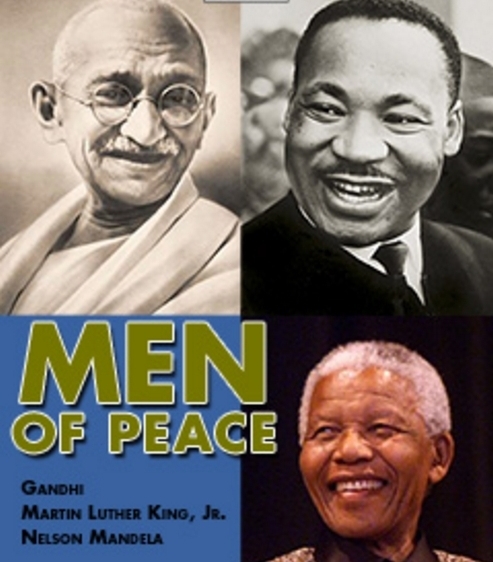 These three famous fighters for human rights have made a difference and changed the world. They are prominent examples of how freedom and justice can be won through non-violent actions. Watch these videos and learn more about them. Migration has been a constant feature of human history. Let´s look at some online grammar exercises. Please leave a comment on one of the videos. Hi teacher, I loved the videos, but the trailer of the movie Selma looks incredible and really inpiring, I am defenitely going to see this movie, just because this subject that Martin Luther King tries to fight for is something really eye-catching to me. Tank you also for the exercises that were really helpfull. Hi teacher! I loved the videos you posted, especially the trailer of the movie about Mandela, since I had already seen it. Also, the video about the refugees was very interesting, because it is about situations that happen everyday, even if we don't think about them. The grammar exercises were extremely helpful, as usual. Hi teacher. All the videos were captivating, but the "A world on the move : refugees and migrants" was the one. After seeing it, I imagined myself in their position, and thought how hard it would be to start it all again. I am happy to see that there are countries that help these people, because everyone should have , at least, one opportunity to succeed. Hi teacher, I have found all the videos interesting. Nevertheless, the "Be the change you want to see in the world" really caught my attention on the subject and got me thinking about it. Also, it is stimulating to see people, who live in so many different countries, having all the same or similar opinion on immigration. Hi teacher! Thank you for the videos. I liked them all, I find them interesting and helpful, making us understand better who were these freedom fighters and what they accomplished. I also found the video about refugees and migrants very interesting and it really made me think about the things that they go through. Hi teacher, i was quite impressed with the video "pros and cons of globalisation" because even though i already knew about these terrible situations it still made me feel sad and wondering if people should be treated so unfairly just so that we can have all close at hand. Thank you for the videos and exercises, they were extremelly helpful.